From time immemorial, people have made things: woven rugs; leatherwork; pottery; embroidery. 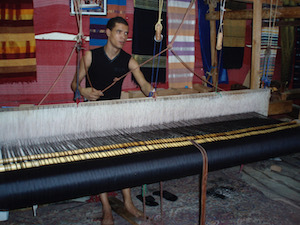 Every culture has its characteristic crafts that are traditionally made by hand using specialized tools and techniques. Take a look at what teens from Casablanca and Chicago have to say about these unique artforms.